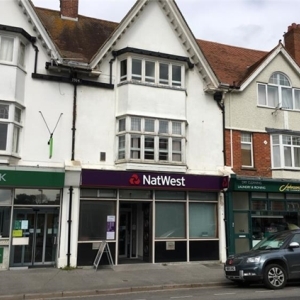 Borough of Poole: Pure Town Planning has recently secured the necessary consents to allow the conversion of the ground floor and basement of a former bank into a dental surgery and the conversion of the first and second into two self-contained flats. The site lies on Haven Road in the Canford Cliffs area of Poole. The accompanying plans were prepared by DOT architecture. 2. Lawful Development Certificate (LDC) was sought confirming that the conversion of the first and second floor of the bank into two flats was permitted development under Schedule 2, Part 3, Class G of the Town and Country Planning (General Permitted Development) (England) Order 2015 (as amended) (the GPDO). Class G of the GPDO allows the conversion of upper floors of A1 or A2 Units into a maximum of two flats without requiring planning permission or prior approval from the local Council. This means that with conversions under Class G, usual planning application considerations such as parking, amenity space, bin stores etc cannot be considered by the Council. This planning strategy meant that none of the ground floor had to be given over to bin and cycle stores or the rear parking had to be given over to the flats. To accompany the application for the change of use of bank to dental surgery, Pure Town Planning submitted a retail survey of the existing local centre which showed that there were five other retail units that were vacant and that this sixth unit had been vacant since October 2017. The survey over came planning policies which generally aim to restrict the loss of retail uses in key shopping areas unless the change of use does not detract from the function, vitality and viability of the local centre. With the evidence put forward that there were six retail units currently vacant and that all other retail units were within an A Class Use, it was argued that there would be a benefit from a business occupying the vacant unit even if it was not in an A Class Use. Once the application was submitted, a site visit was undertaken to confirm that the upper floors were in A2 Use, allowing the Case Officer to issue a Certificate of Lawfulness confirming that the applicant has permitted development rights to convert the first and second floor of the building into two self-contained flats. 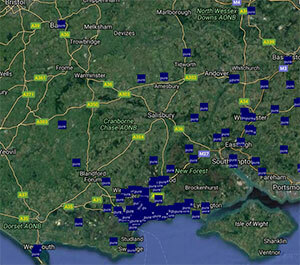 With the change of use planning application, only required one minor alteration was required before the application was approved by the Borough of Poole. This scheme demonstrates the value of a creative approach to planning and the benefit of taking specialist advice. If you have a vacant building or under-utilised space why not give us a call on 01202 585524 or email us at info@puretownplanning.co.uk for a free and confidential desktop appraisal.